A big part of successful online marketing campaigns are the tools and resources used to create them. The best thing about online marketing tools is that most of them are either very cheap or free to use and you will be able to easily find them online. But just like with anything else, there are some which are good and others which will truly help you transform your online marketing game. Here’s the list of marketing tools you simply need in your online business. Probably one of the very first tools you should start using as you begin using your online marketing strategy is Google Analytics. This great tool can help you in many ways and it will only take a few minutes in order to learn how to use it. After you add the Google Analytics code to your website you will easily be able to track every action each individual visitor takes on your website. For example, you can see how many times a page is viewed by individual people during one visit, how long a visitor stays on a page, and the percentage of single-page visits. This will prove very helpful as you will be able to see if the traffic on your website is coming from organic searches, social media or referrals. This is a great way of understanding whether your marketing campaign is successful or not. 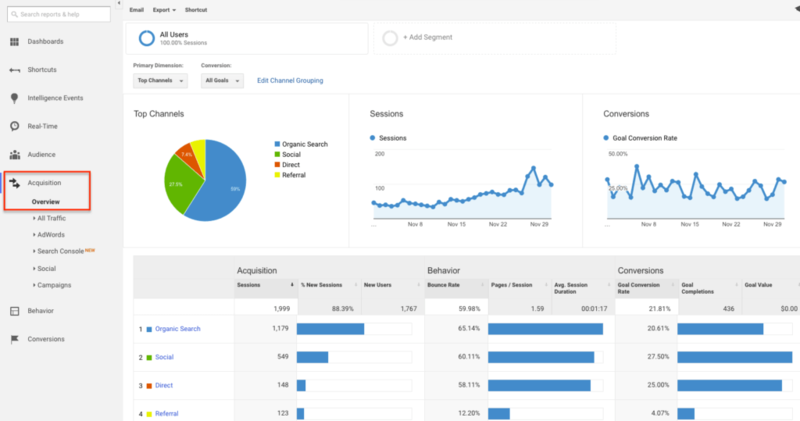 Google Analytics is a tool that will really help you get a better understanding of the content you create and how it performs, as well as how your site performs and how you can improve it. This tool will offer solutions to many different issues such as those. You will be able to really start seeing an improvement in your online marketing methods, once you start finding the right solutions to your main problems. Email marketing campaigns are a very important part of online marketing and you will probably have to put quite a bit of effort into making sure they are effective. MailChimp can help you simplify this process and help you get started on your own email marketing strategy from day one. MailChimp is a tool that can help you do better research on your target market and learn how to deliver your content in a much more efficient way. Email lists might be a little hard to manage if you’re still new to this, but this tool offers the right means to help you manage it correctly. On top of that, another part of email marketing that is important in order to improve your methods is follow-up research. This will allow you to see what went wrong and how you can fix it. MailChimp allows you to pull this step through easily in order for you to just keep improving the way you target your audience. This tool is essentially one of the top email marketing providers in the world and it will help you by providing you with self-service support options and explaining how you can send better emails easily. As Ethan Dunwill, online marketer for RatedByStudents notes – “A tool such as MailChimp can help you not only get a better understanding of your audience but also of the ways you should target them through your email marketing techniques”. If you wish to create some engaging visual content which compliments your brand for your social media accounts and your website but don’t really have the funds for a graphic designer, there is a quick and easy solution. This easy to use tool will help you customize some already existing content templates found on the app such as posters and logos to your liking with just a few simple clicks. Canva will help you create anything you need, from marketing materials such as social media images, header templates, ads and invitations. While the platform already offers a variety of content types, you can always create a custom project and make what you need. Probably one of the best things about it is that it’s free of charge and even though you are able to pay for some premium elements such as photographs, icons and illustrations by some of the world’s best photographers, graphics designers and illustrators, you might come to find that you can still use it for free. The designs you can create through this tool will really help your content stand out and they will give your online marketing campaign a whole new look and perspective. You can even download the free iPad App on your device and use it whenever you have a good idea in mind as it is just as easy to use as the online version and full-featured. Something that’s very important is making your company seem professional and your content trustworthy. The best way you can achieve that is by making sure the way you express yourself online is always free of any simple grammar or formatting mistakes. Here are some of the best online editing tools to help you achieve that. If you’re still a new website owner, it is very possible that you will need some help with proofreading the content you create. This great online tool will connect you with the best professional writers who will be able to proofread your texts for you. 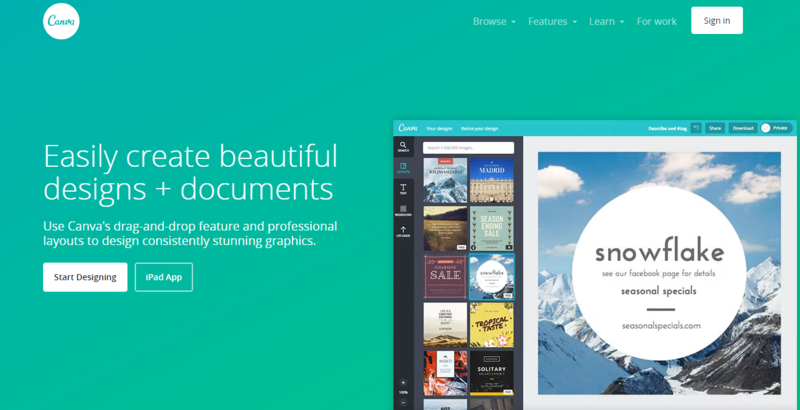 Probably one of the best free editors out there at the moment, Grammarly will truly help you out with your editing and proofreading needs. What it does essentially is underline wrong words and sentences and gives you correct suggestions in order to fix them. This great online tool will help you edit your content to your liking without actually having to waste many hours of editing it yourself. RewardedEssays is a great community of professional writers and editors who will be happy to make any changes you wish for. Hemingway Editor is a very simple tool to use and the only thing you will have to do in order to use it is get used to the different colors it uses. For example, yellow is used to show you that a sentence needs to be shortened or split. This way, editing is made a lot more fun and interesting. Editing your content is very important but you might not always have time to do it and that can cause delays in your online marketing strategy. HotEssayService will help you by covering your editing and proofreading needs in as little time as possible. This awesome tool truly has a lot to offer to its users. Not only will you be able to plan your marketing and organize your campaigns but you will also be able to keep track of all your marketing plans in order to keep everything under control. Online marketing requires a lot of planning and careful actions in order to make sure that your campaign won’t be a failure. By using CoSchedule you will be able to save a lot of time of planning so you will never leave another marketing campaign unfinished again. CoSchedule essentially is a great drag-and-drop calendar for content marketers and social media managers. First of all, you will easily be able to schedule your social media posts and blog posts and also even reschedule your old blog content in order to improve and reuse it. You can use this app together with Evernote in order to better manage your marketing ideas and even convert them to WordPress. You can do the same thing with your Google Docs content. CoSchedule will easily allow you to share your marketing strategy with your team, assign them tasks and keep your workflow organized in order to meet all set project deadlines. If you want to pay more attention to your social media game and you wish to attract more traffic to your website through social media, Followerwonk is a great tool for you. 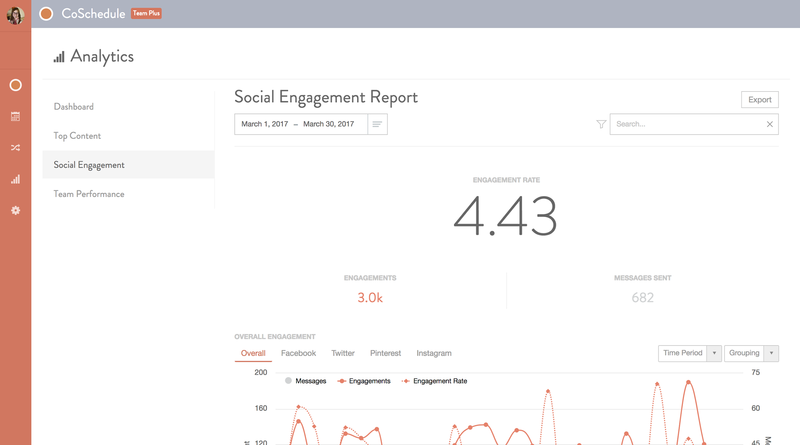 It works by digging into your Twitter analytics data and helping you better understand your followers as well as potential followers and which type of content is the most effective for your strategy. 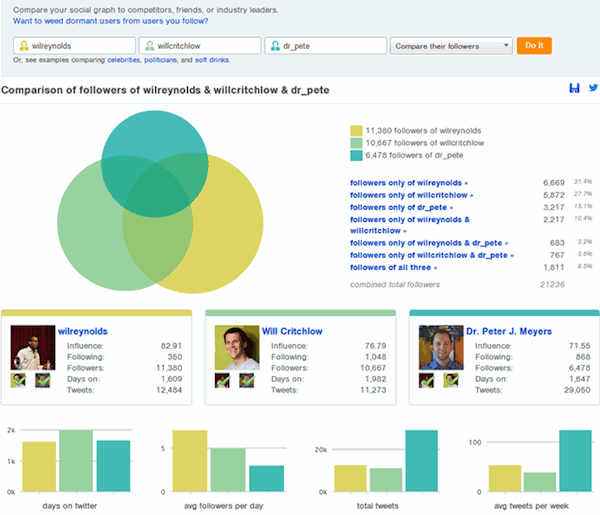 This tool is essentially a Twitter analytics tool which will help you gather and analyze information from your Twitter followers and see the trends which they tend to follow. Through this knowledge, you will be able to expand your reach and attract a bigger audience through the following trends in your niche. On top of that, you will also be able to find the right influencers to collaborate with depending on your area of interest and see how your brand is performing when compared to your competitors. All this information will be easy for you to access and visualize as it will be offered to you as a report. Followerwonk is really easy to use and it will provide you with the aforementioned information that can truly help you improve your online marketing campaign for the better. All you have to do is give it a try and figure out what type of content performs best on your socials. 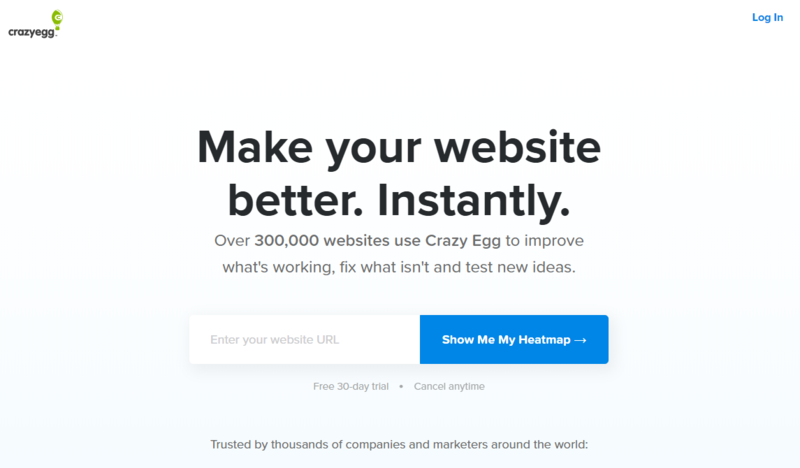 Crazy Egg is a website optimization tool which will help you get a better understanding of your customer behavior on your website. You will be able to see how your business strategies perform and it will provide you with the right tools needed to improve them, in order to increase your sales. This tool offers a lot of features which can help you achieve that result. First of all, you will be able to see the highest areas of click activity and know which type of content performs the best. You will get segment results by metric and have easy access to the percentage breakdown of clicks on all of your webpage elements. You can also easily record a user’s session from the moment they come to your website and see exactly what they are seeing. This will allow you to see if they are searching for something in particular, or if they are spending more time on something they enjoy viewing. Another great feature this tool offers is the A/B testing option, which will help you address any problems you might notice and instantly change them without the need of a developer. This is a much more immediate solution and can really help you learn how to handle your website without the need of another professional. In other words, this tool can help you get a better understanding of what your visitors enjoy and what they are lacking in their user experience. Through the information provided by the tool, you will be able to make any necessary changes to your website, content and marketing strategy in order to increase your lead conversion rates and help your customers enjoy their user experience. A big part of being successful in online marketing is making sure you’re always there to answer your customers’ questions. Good customer service is a very important part of online marketing and it can help you make your brand more popular and loved by your customers. LiveChat is a tool which will help you change the way you approach and help your customers. You will be able to easily get in touch with your website visitors and point them in the right direction, all from one single platform. Not only will you be able to resolve their issues immediately, but you will also be able to ask them for some much-needed feedback at the end of the chat in the form of a quick grade they can submit. LiveChat is a paid tool but it also offers a free trial as well as a mobile app in order for you to give it a try and see how much it can benefit your business. While there are many tools online which you can use and experiment with, you will truly end up using only a handful. While most are very user-friendly, you will see that keeping only the essentials will always be the best option and solution for your online social marketing needs. 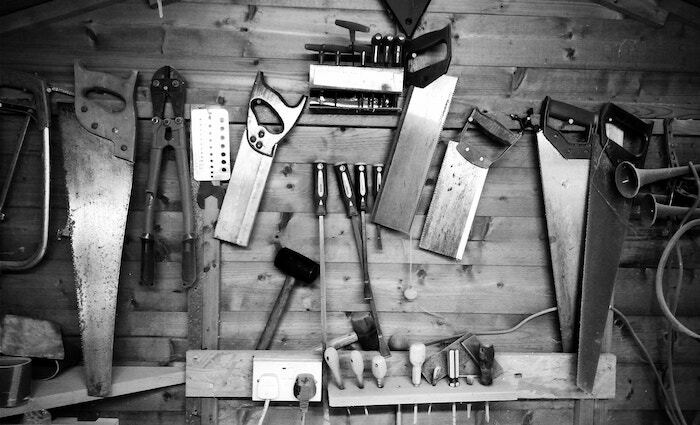 All the tools mentioned are not only easy-to-use for beginners but they are also affordable. No matter how much knowledge you have in IT and marketing, these tools will help you create a solid campaign plan and make sure that you are sticking to it for every step of the way. 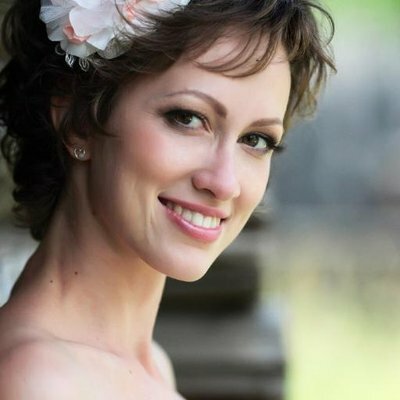 Daniela Vicker is a professional marketer and social media expert who enjoys spending her time teaching others how to improve their online marketing strategies. In her free time, she loves to blog for websites like IsAccurate and TopWritersReview, where she offers advice on social media management and online marketing.